Please note: The Nourish Programme is not being delivered at present. Please contact info@womens-health.org.nz if you would like more information on body image. Young people are faced with increasing pressure to conform to an unrealistic idea of body “perfection” and are bombarded with more media than ever before.Nourish is a professional development programme for those who work with young people. Nourish training provides participants with skills and creative activities, DVDs, images and worksheets to use with young people to help them explore body image issues in a variety of learning styles.This training and resource will help unpack body image, critical media literacy, appearance based bullying and self esteem with young people.The programme is four and a half hours and includes lunch, the Nourish resource and facilitator’s guide, it includes tips, ideas and questions about body image for all group sizes. Nourish trainings have been attended by teachers, counsellors, health professionals, youth and community workers.Nourish is purposefully not a resource on eating difficulties, weight or food pyramids. 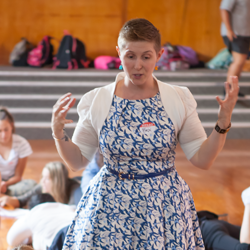 Nourish seeks to move concepts such as ‘body satisfaction and diversity’ into action and to reduce appearance based bullying (the second most prevalent kind of bullying in New Zealand schools).Workshops are offered throughout New Zealand and we require a minimum of six participants.